Horace (Quintus Horatius Flaccus, 65–8 BCE) was born at Venusia, son of a freedman clerk who had him well educated at Rome and Athens. 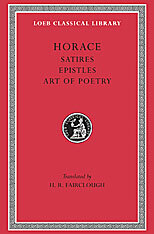 Horace supported the ill-fated killers of Caesar, lost his property, became a secretary in the Treasury, and began to write poetry. Maecenas, lover of literature, to whom Virgil and Varius introduced Horace in 39, became his friend and made him largely independent by giving him a farm. After 30 Horace knew and aided with his pen the emperor Augustus, who after Virgil’s death in 19 engaged him to celebrate imperial affairs in poetry. Horace refused to become Augustus’s private secretary and died a few months after Maecenas. Both lyric (in various metres) and other work (in hexameters) was spread over the period 40–10 or 9 BCE. It is Roman in spirit, Greek in technique. 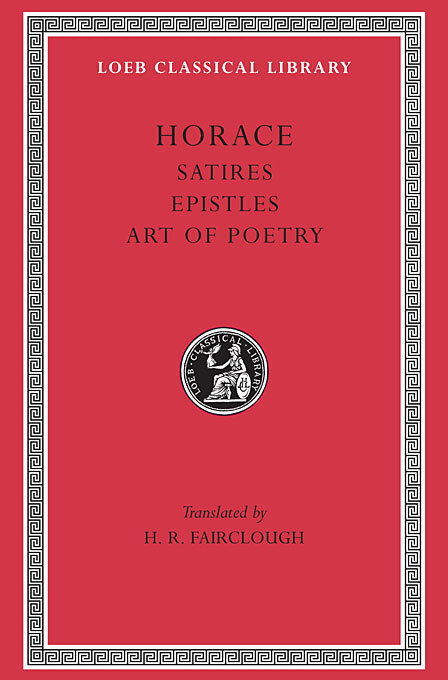 In the two books of Satires, Horace is a moderate social critic and commentator; the two books of Epistles are more intimate and polished, the second book being literary criticism as is also the Ars Poetica.